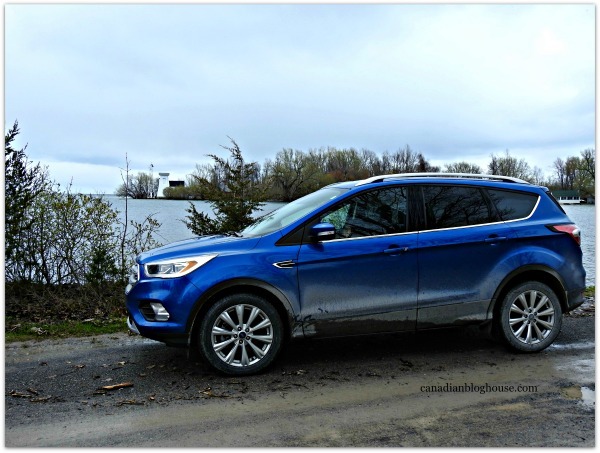 Ford Canada facilitated this #GoFurther150 media trip to Prince Edward County in exchange for a review of the 2017 Ford Escape Titanium, and our search for Prince Edward County Lighthouses. All opinions are our own. Six Prince Edward County lighthouses are at risk of being lost forever. 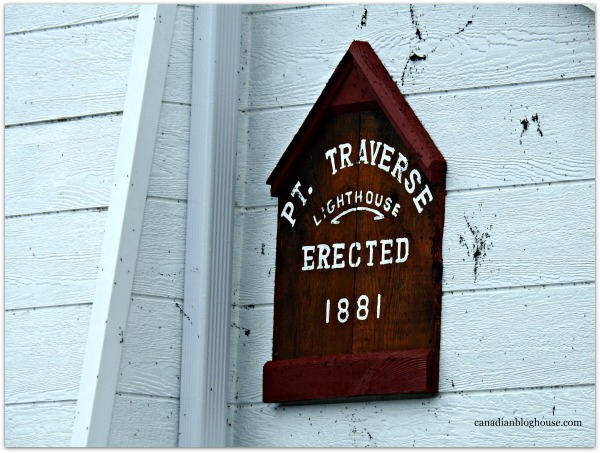 This spring, we set out to explore The County in a 2017 Ford Escape Titanium, specifically in search of the Prince Edward Point Lighthouse. The Prince Edward Point Lighthouse is associated with various shipwrecks that have occurred in this area, an area known as the “Graveyard of Lake Ontario”. Located at the southeast tip of The County, the location of this lighthouse is somewhat remote, and an area of the county we had never been to before. 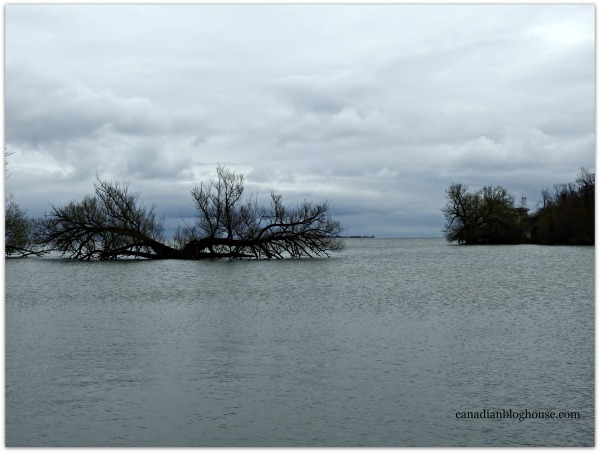 Despite the endless rain we encountered during our weekend in Prince Edward County, this was the perfect escape for us. 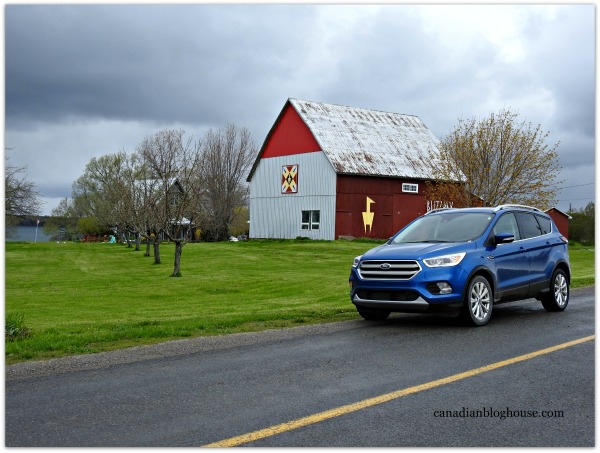 The County is a short 3 hour drive from Ottawa, and while we had to leave Ottawa during Friday afternoon rush hour, in the pouring rain, the drive to Prince Edward County was nothing but an absolute pleasure, thanks to our 2017 Ford Escape Titanium. 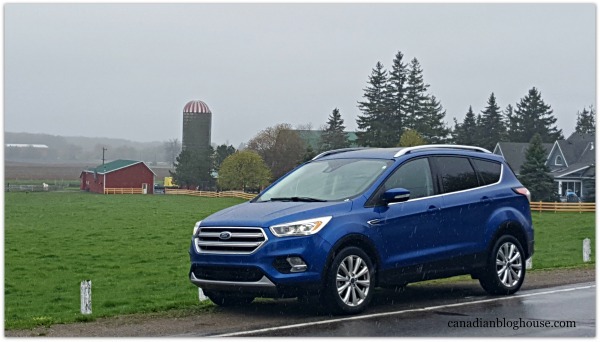 I could not have felt more safe and secure driving through a relentless rain storm, on Ontario’s hectic Highway 401, than I did in our Ford Escape. Ford has been opening the highways to all Canadians for 113 years now. When I think about that, I think of how exciting a time it must have been for my great-grandparents, one of the first of their generation to own, and drive, a Ford. 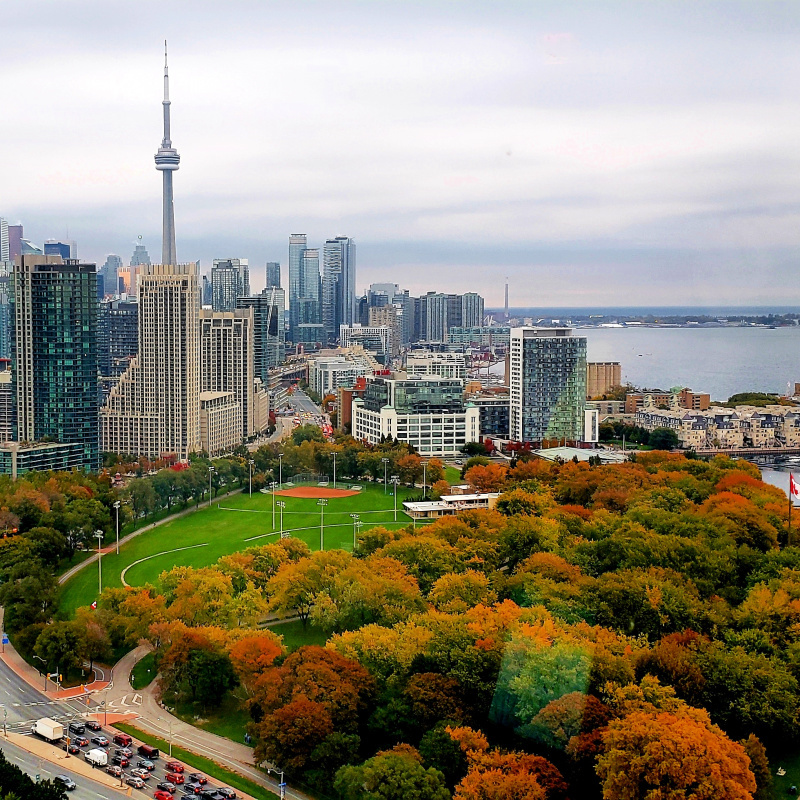 I still remember stories my mother would tell me about her family, and their Sunday drives around Toronto in her grandfather’s Ford, in the 1930’s. I’m not sure what model it was but, I do know that it was a huge thrill for my mum to go for those rides. Today, we take road trips for granted. 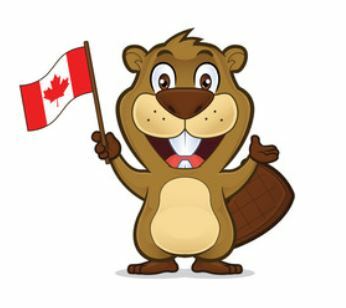 But we shouldn’t, especially this year during Canada’s 150th birthday. We are so incredibly lucky to live in this beautiful country. We have the freedom to jump in our cars and take a road trip any time we want, down one of the thousands of wide open roads across Canada. The kind of wide open roads, like the ones in Prince Edward County, that are made to be explored in a Ford Escape! 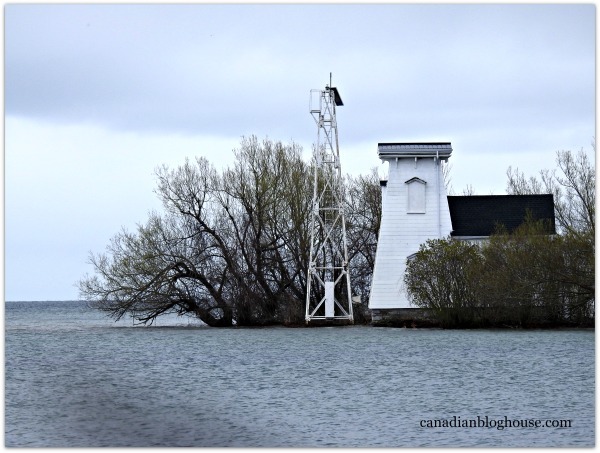 Our Sunday morning drive was the perfect time to explore the area around Prince Edward Point National Wildlife Area, in search of the Prince Edward Point Lighthouse, one of the Prince Edward County lighthouses that are at risk of being lost. 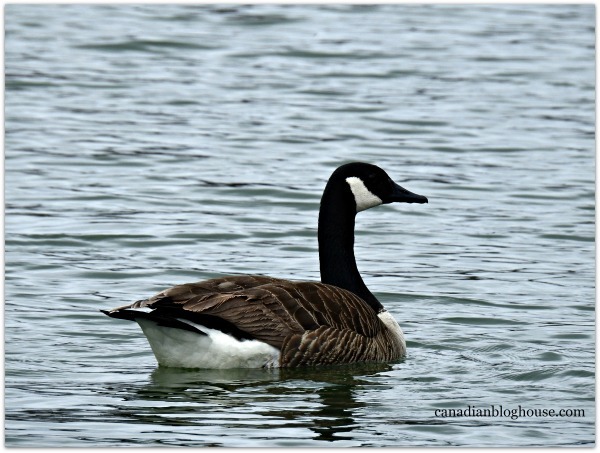 This area, renowned for its concentration of a large number of migratory bird species, sits on a peninsula, jutting out into Lake Ontario. With endless miles of county roads ahead of us, and very few cars joining us along the way, we were able to take a very leisurely drive. We had no worries about pulling off to the side to take a quick photo of the gorgeous farms, fields, and quaint country homes that surrounded us. We don’t normally pull over to take a photo of trees or bushes but, the huge number of these fascinating trees caught our eyes. They were everywhere along the roadside in Prince Edward Point National Wildlife Area. 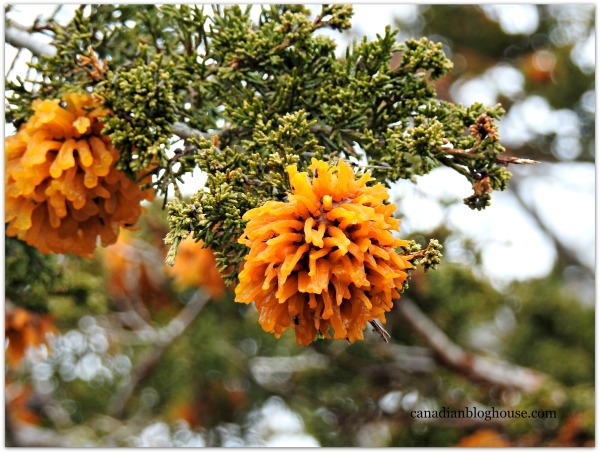 To our horror, what we thought were beautiful trees, and worthy of a photo, we later found out to be “Cedar-Apple Rust” on Juniper trees, a fungus that grows after a lot of rain, and can go on to infect apple trees (if we are incorrect about this, please tell us in the comment section below). 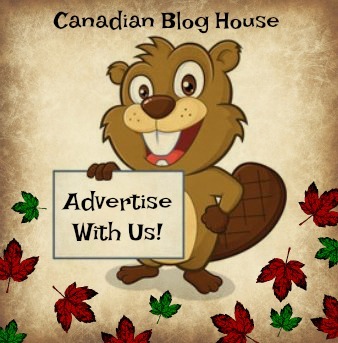 Our true mission on this day was to locate the Prince Edward Point Lighthouse, also known as the Pt. 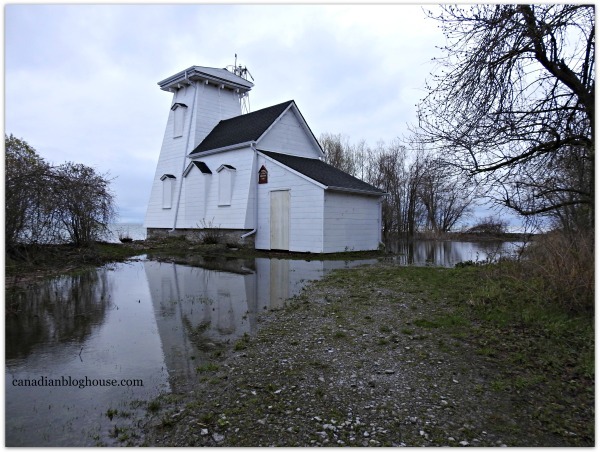 Traverse Lighthouse, one of the six Prince Edward County lighthouses at risk of being lost. 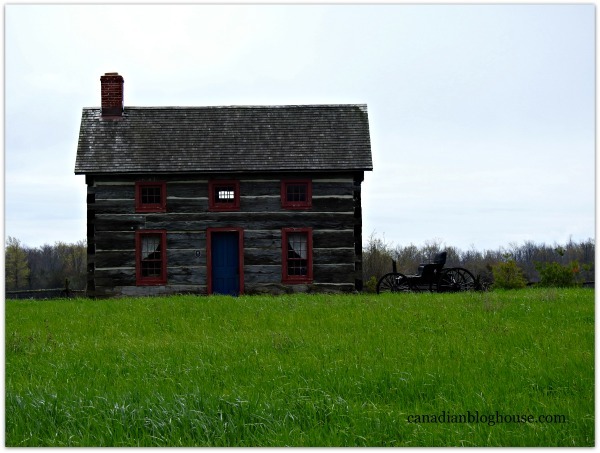 We wanted to capture a photo of our Ford Escape beside this important piece of Canadian history. Our quest turned out to be rather elusive, however. A closed gate, and flooded land around the lighthouse, made for driving up beside the lighthouse impossible. So a walk to the lighthouse had to suffice instead. 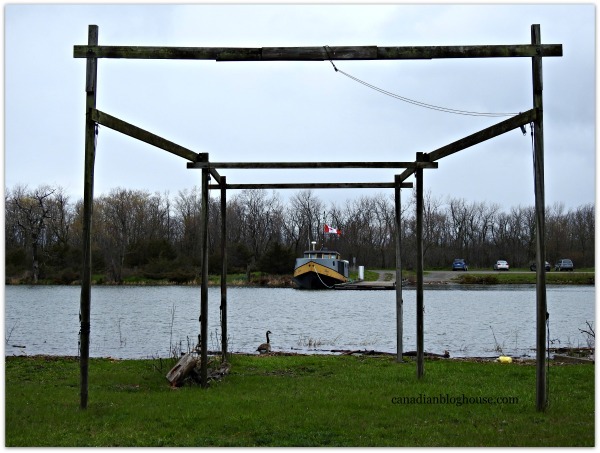 Perhaps that was a blessing in disguise as we encountered many great scenes on our search to find one of the historic Prince Edward County lighthouses. Mission accomplished! 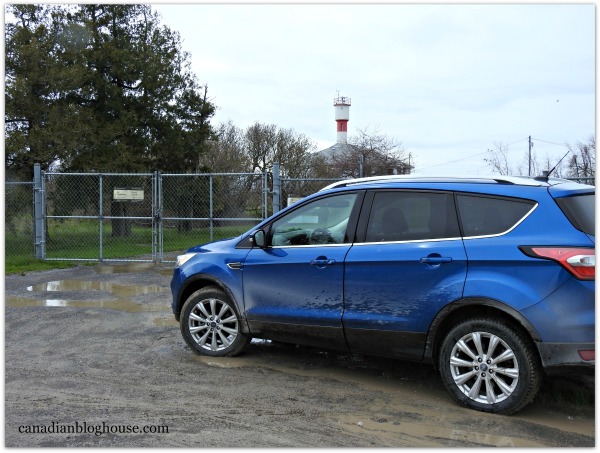 The Prince Edward Point Lighthouse beside the 2017 Ford Escape Titanium. Can you see it? We weren’t satisfied that we were unable to drive right up to the lighthouse for a photo, so we decided we would try another lighthouse that was close by. That lighthouse was Petre Lighthouse (pronounced “Peter” by the locals). As you can see, we weren’t terribly successful here either. This lighthouse is fenced off and located next to Department of National Defence land. But wait. According to information we had obtained from Google, there was one last lighthouse in the area. 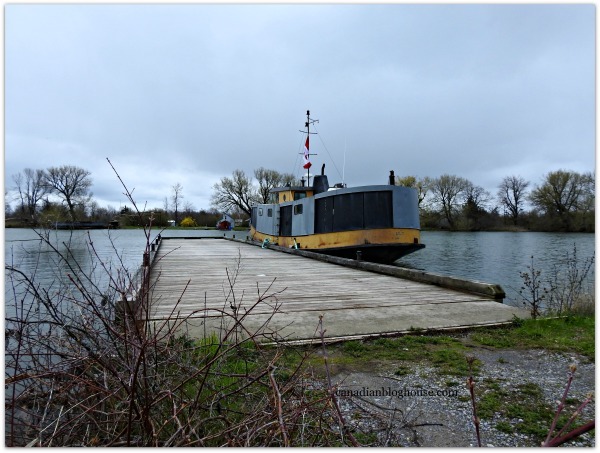 Problem was…”in the area” meant 22 km off shore on an island! It was time to “throw in the towel”, and head to my cousin’s home in The County for a quick visit before hitting the road for our drive back to Ottawa. While the weather during this weekend proved to be very annoying, we tried hard not to let it put a damper on our spirits. 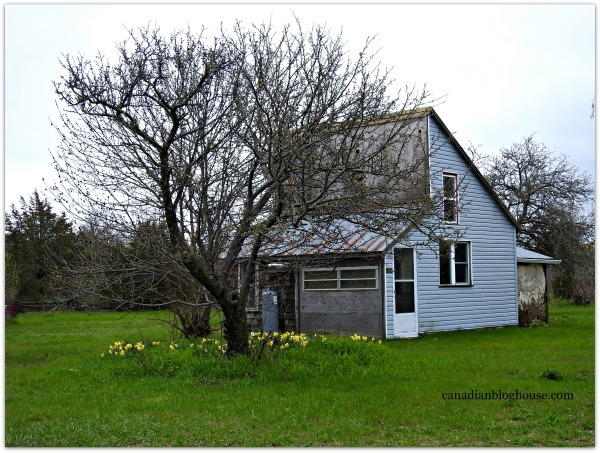 Despite the fact that we never saw the sun, and our hopes for bringing you bright and sunny photos of The County were dashed, we turned lemons into lemonade, so to speak, and made the best of the time we had in The County. After all, there were still plenty of great things to see and do during a rainy weekend in The County. Including these creatures, who didn’t let the rain stop them. 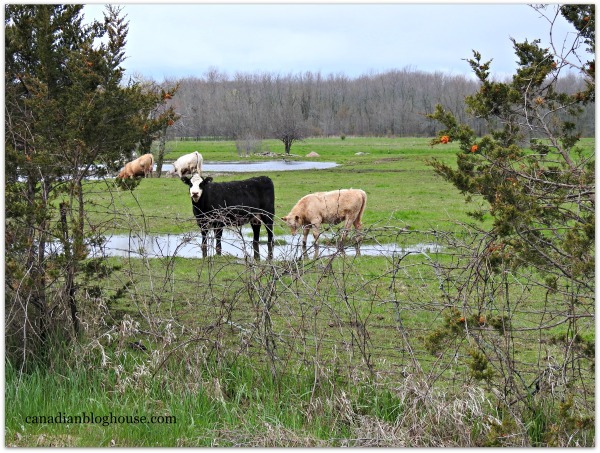 We took the time to stop and enjoy the farm animals we spotted on the many farms dotting the county roads. 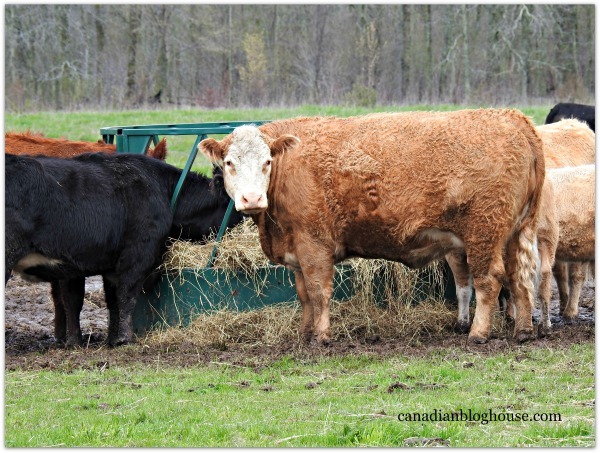 By the looks of this cow, she wasn’t nearly as thrilled to see us, as we were to see her. We enjoyed every minute we could, touring The County in our Ford Escape. Except, of course, when we spent 5 hours being chauffeured by Prince Edward County Wine Tours to some of the 43 fabulous wineries located in Prince Edward County. 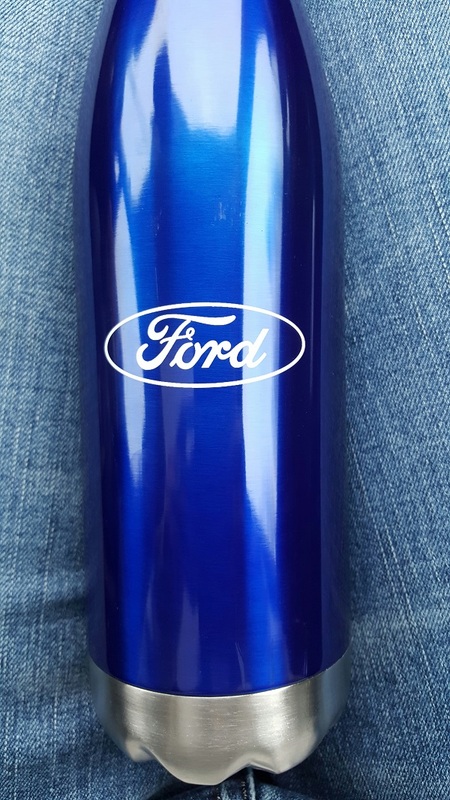 A big thank you to Ford Canada, for sponsoring this very special #GoFurther150 escape to Prince Edward County, and to Melissa and Fernando from National PR, for coordinating a most enjoyable #GoFurther150 itinerary! 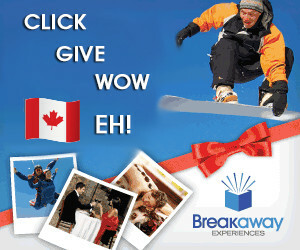 Have you ever been to Prince Edward County? Where are some of your favourite places to visit in The County? We love The County!! Always something new to discover. 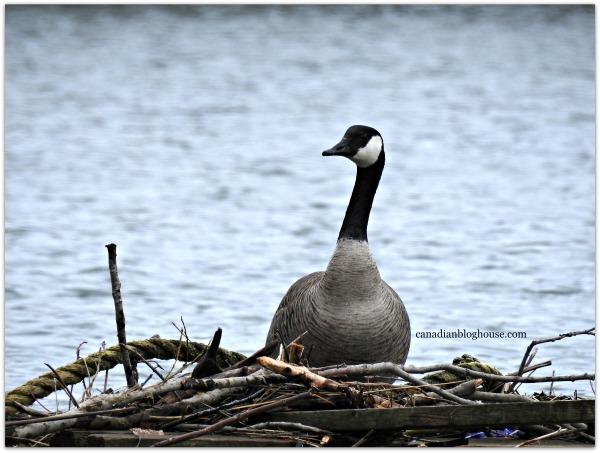 Have you been to Lake on the Mountain? A couple of nice restaurants there too. Thanks for your review of the Ford Escape Titanium too. My brother has one and it is definitely a comfy car. Yes!! I love the view from up there!! Have never been to any of the restaurants on Lake on the Mountain though. Really must do that next time! What’s one of your favourites there, Elizabeth? That’s cool that you brother has a Ford Escape Titanium! What colour does he have? We loved the vehicle so much…it’s currently in #1 place on the list when a new car is needed (and that’s coming up soon based on the shape of my old car!). Thanks for stopping by, Elizabeth! Definitely not good travelling weather or too much success in locating the lighthouses but it sounds like you had fun anyways. I also heard that you guys LOVED the Escape! We sure did have fun, Lyse, despite the rain! As for the Escape, we most definitely LOVED it! It’s a great vehicle to drive and it’s chalk full of great features! Thanks for stopping by! Looks and sounds like you had a great time and in style too 🙂 Love the pics! Thanks Jason! It sure was a great weekend and we loved being able to travel in the Escape! Glad you enjoyed the pics! Thanks for stopping by! 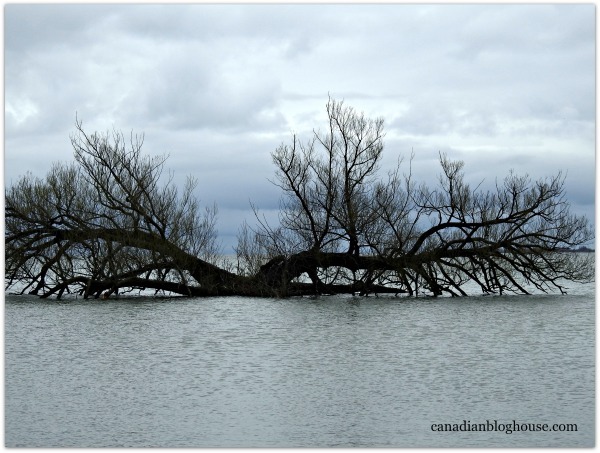 Sorry to hear of the flooding in Prince Edward County. It is such a beautiful area! We enjoyed having a wine tour of the region several years ago. My friend just bought a new Ford Escape and loves it!